Stratos Idreos is an assistant professor of computer science at Harvard University where he leads DASlab, the Data Systems Laboratory at Harvard SEAS. Stratos works on data systems architectures with emphasis on designing systems for big data exploration that are easy to use and can stand the test of time. He received his PhD from University of Amsterdam while being a member of the CWI database group. 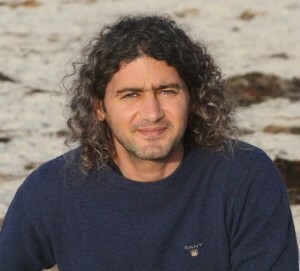 For his doctoral work on Database Cracking, Stratos won the 2011 ACM SIGMOD Jim Gray Doctoral Dissertation award as well as the 2011 ERCIM Cor Baayen award as <most promising European young researcher in computer science and applied mathematics> from the European Research Council on Informatics and Mathematics. In addition, Stratos is a recipient of a 2010 IBM zEnterpise System Recognition award, the 2011 VLDB Challenges and Visions best paper award, a 2015 NSF CAREER award and the 2015 IEEE TCDE Early Career award by the IEEE Technical Committee on Data Engineering.